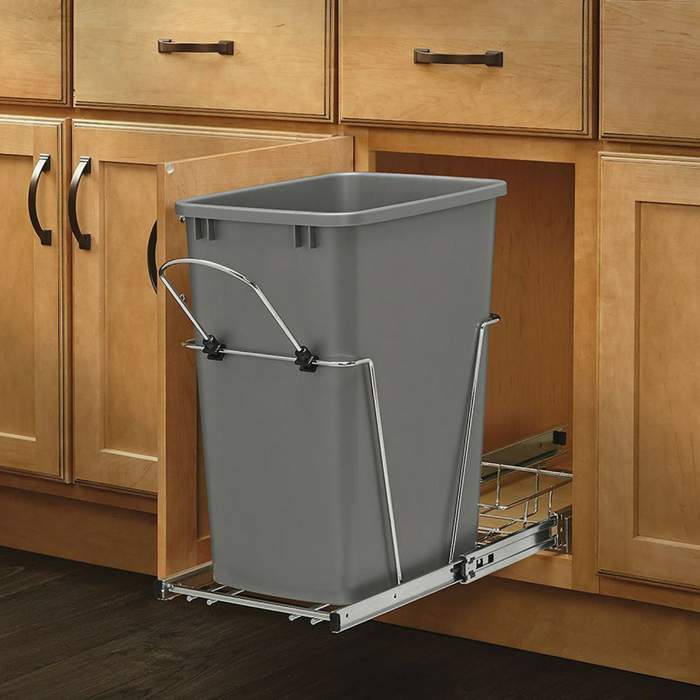 Pull-Out Waste Container With Basket Just $44.99! Down From $87! PLUS FREE Shipping! You are here: Home / Great Deals / Amazon Deals / Pull-Out Waste Container With Basket Just $44.99! Down From $87! PLUS FREE Shipping! Check out this 35-Quart Pull-Out Silver Waste Container With Rear Basket which is on sale at Amazon for just $44.99 down from $87 PLUS FREE shipping! Rev-A-Shelf’s RV units are a perfect way to clear your kitchen of unsightly trash by hiding it inside your cabinet. Made with high quality slides, durable wire construction and simple installation you will be ready to trash your freestanding waste container.